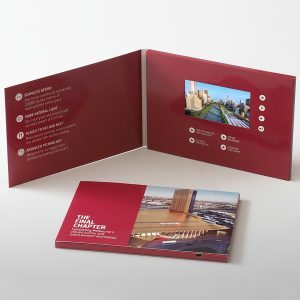 Choose the video brochure product from the list below. 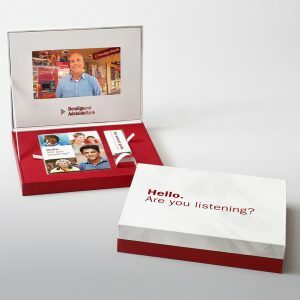 Answer all the questions to determine real time pricing. Wait for pricing to be automatically calculated and displayed. 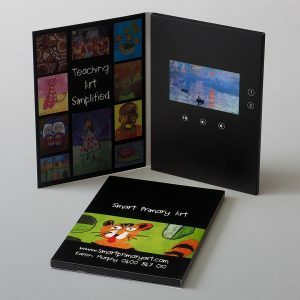 A cost effective, pocket-sized video card that packs a lot of punch for on the fly introductions and trade show interactions. To find out pricing, follow the easy steps below. 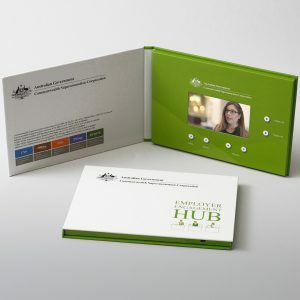 A step up from the business card with improved multi-functionality and quality to better showcase your business. 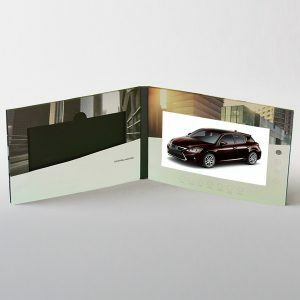 Slightly larger than the compact brochure the additional space allows for a more flexible orientation providing scope for increased messaging. 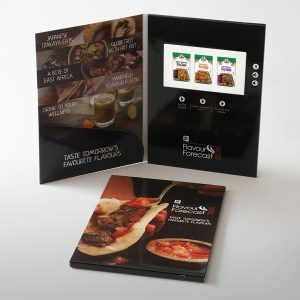 Offers the same flexible orientation, multi-functionality and quality of the A5 4 inch IPS but with a fractionally larger screen. 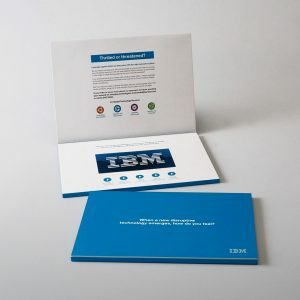 Our most popular A5 size. 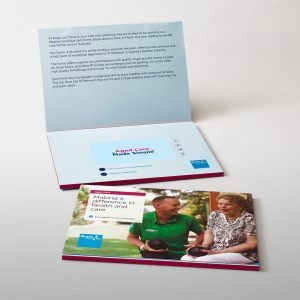 Ideal for product launches, direct mail and sales presentations. iPhone 6S sized screen allows for more complex messaging. Premium HD and IPS screen technology for increased viewing angles and maximum impact. 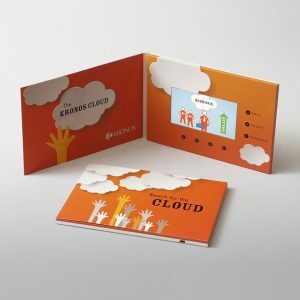 Includes high-end functionality for multiple messages. 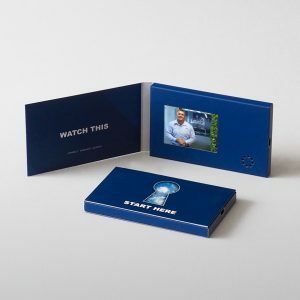 This flip top design with wide, impactful panoramic screen and expansive layout allows ample real estate for additional video and function buttons. 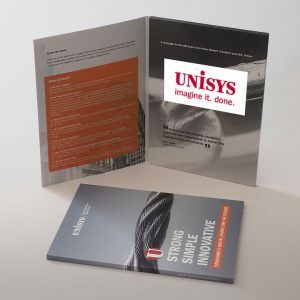 This impressive, large book style format is ideal for attention grabbing die-cuts as well as providing significant space for additional video and function buttons. Our largest screen size. 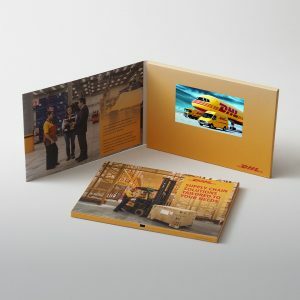 Provides an unequalled client experience with HD quality, multi-functional video combined with high-end premium finishes. 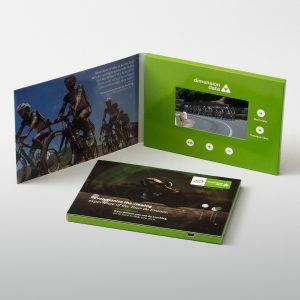 Combining the power of a premium multi-functional brochure with a multi-layered presentation box. 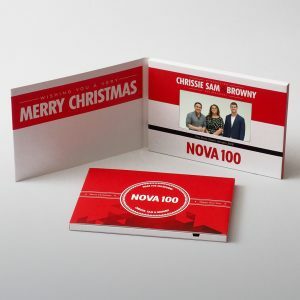 The inside tray provides space for supporting material, documentation and/or gifts. 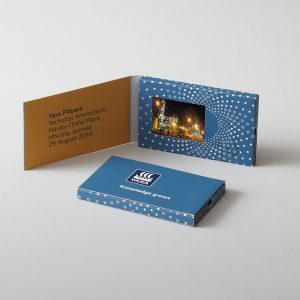 Include gift items, space for supporting material combined with a superior degree of finish for presentation pieces of the highest calibre. 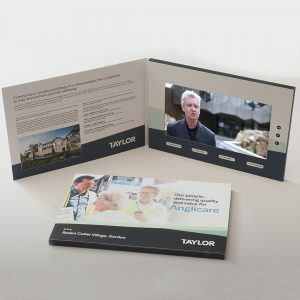 Video presentation boxes are a bespoke item with virtually unlimited applications. 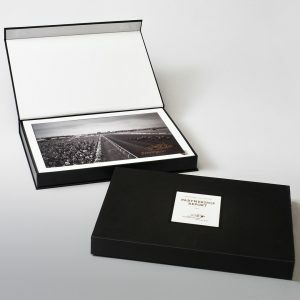 This is an opportunity to take your imagination to the limit.